(2015) The goal of this project is to improve on Shambhala’s existing mobile offering to create a scalable way to connect tens of thousands of people directly to the Shambhala teachings. 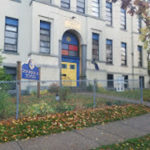 A year ago Shambhala launched its first mobile app, developed by volunteers with no external funding, In its first year, the app was downloaded more than 5,000 times, and received several pieces of positive press. 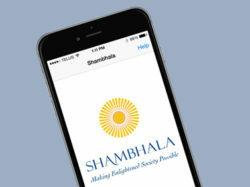 The app was also very successful relative to Shambhala’s other offerings. More people downloaded the app in its first year than have ever taken a Shambhala Online class (4,569 people took Shambhala Online classes between 2007 and 2015). Similarly, more people downloaded the app in 2014 then attended Level 1 in that year (3,309 people worldwide). We achieved this success despite not releasing an Android version, which precluded 80% of smartphone users from downloading the product.